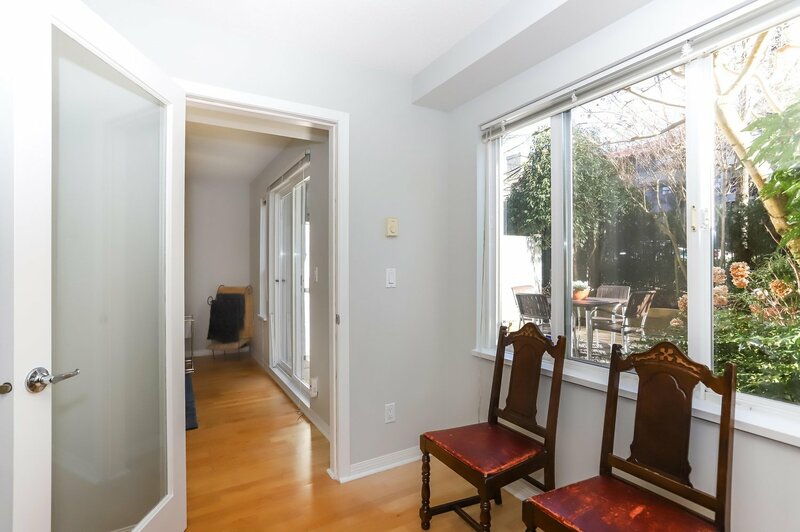 The inside of this unit is as stunning as the fully fenced private outdoor space! 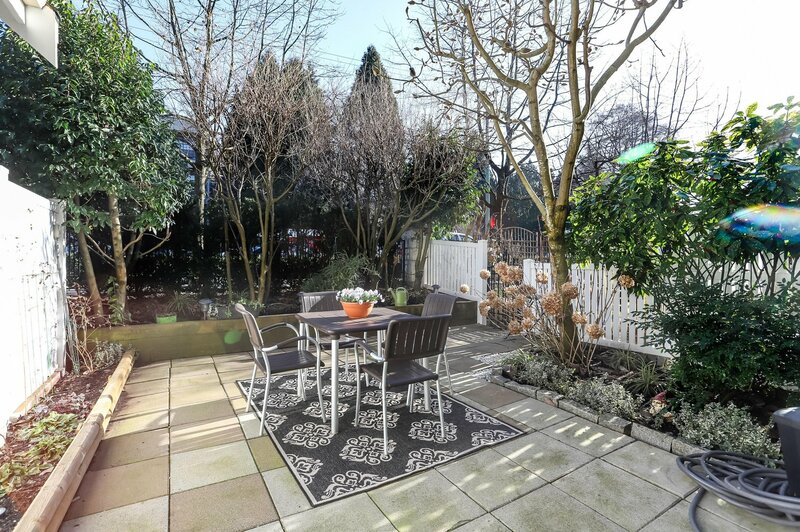 Huge fenced patio with lots of plantings just ready to pop! 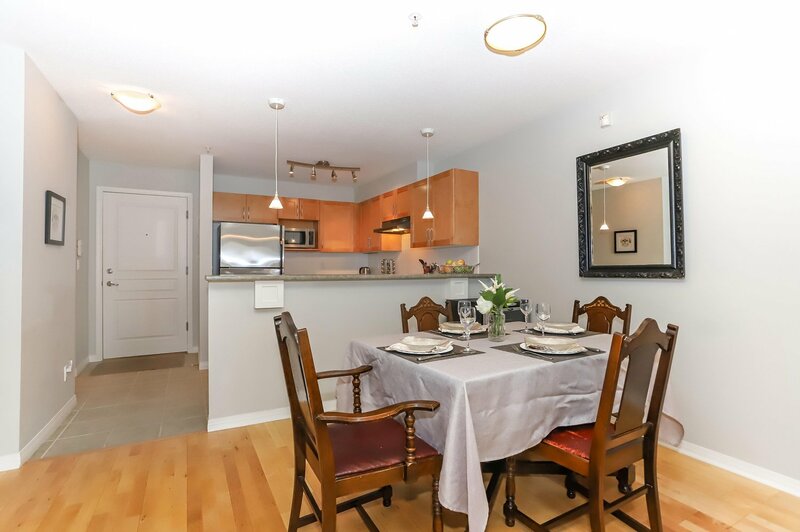 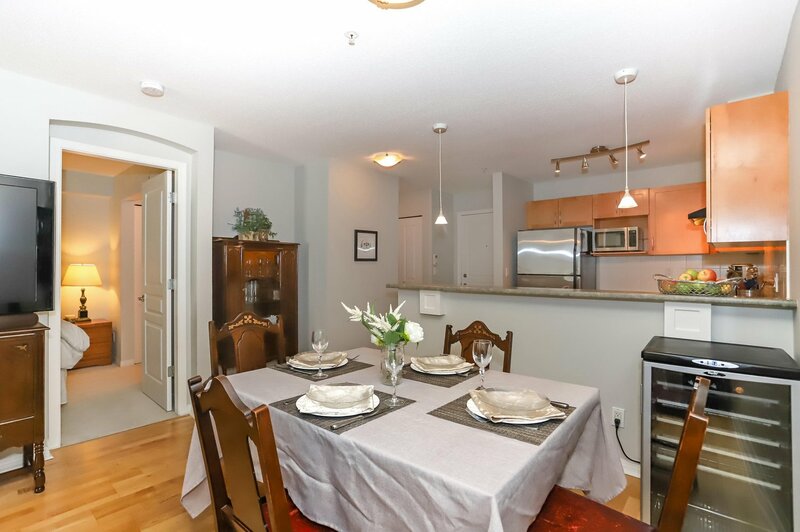 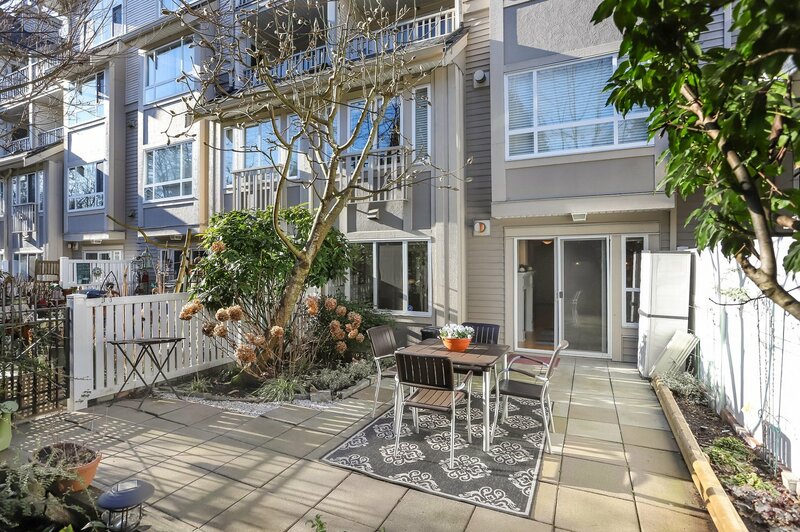 This 735 sq ft 1 bed and den unit in charming VISTA WEST is move in ready. 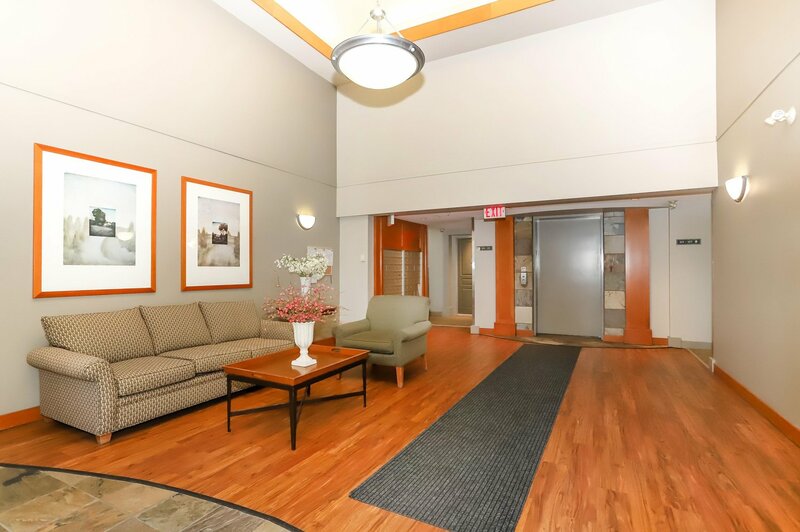 Recently painted and well maintained. 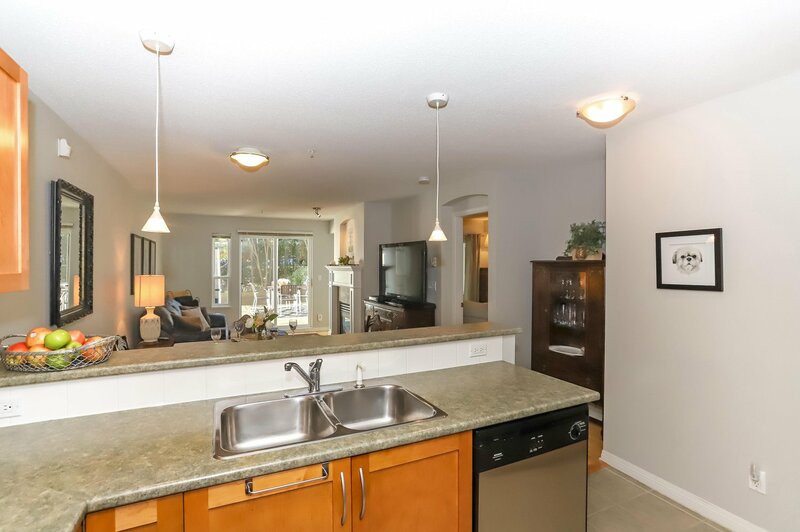 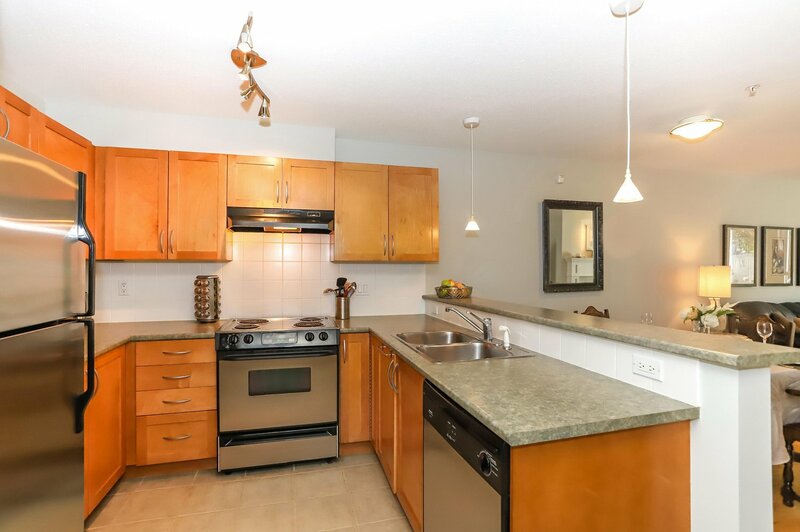 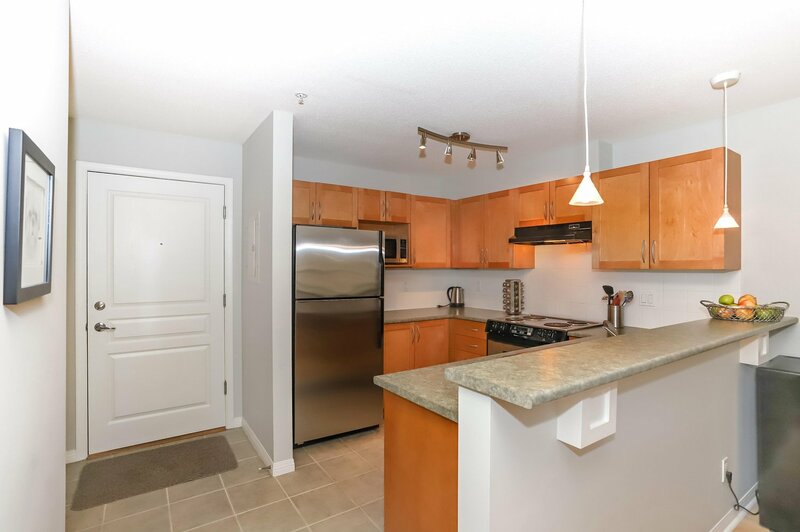 Open plan kitchen boasts stainless steel appliances, solid maple cabinets, loads of counter space plus a breakfast bar. 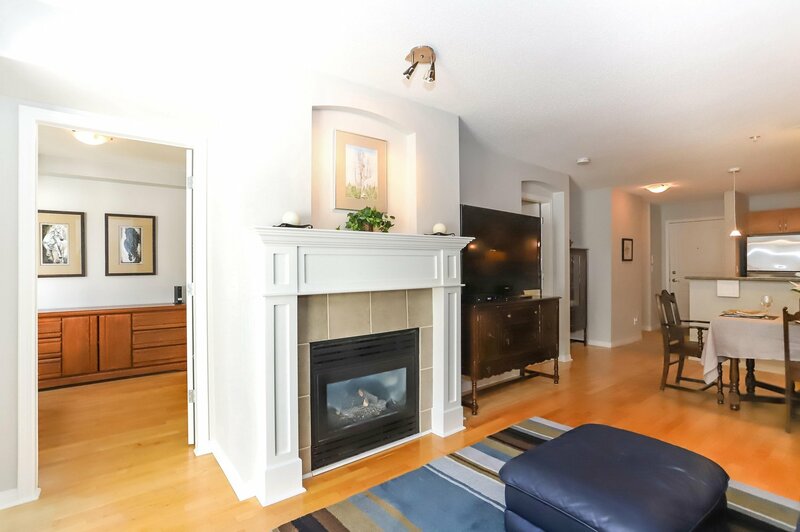 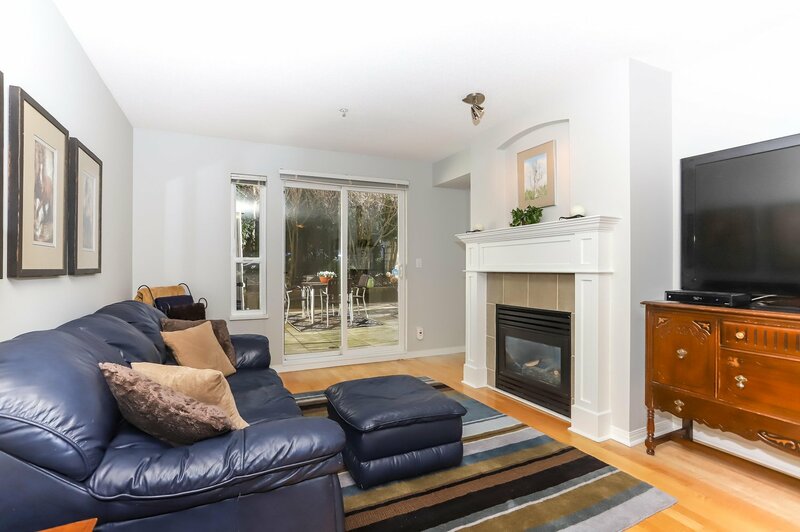 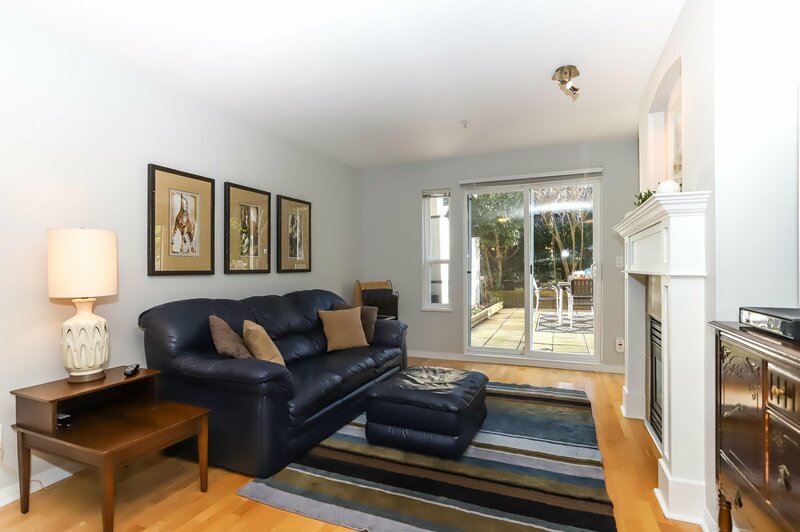 Cozy gas fireplace & engineered h/w floors. 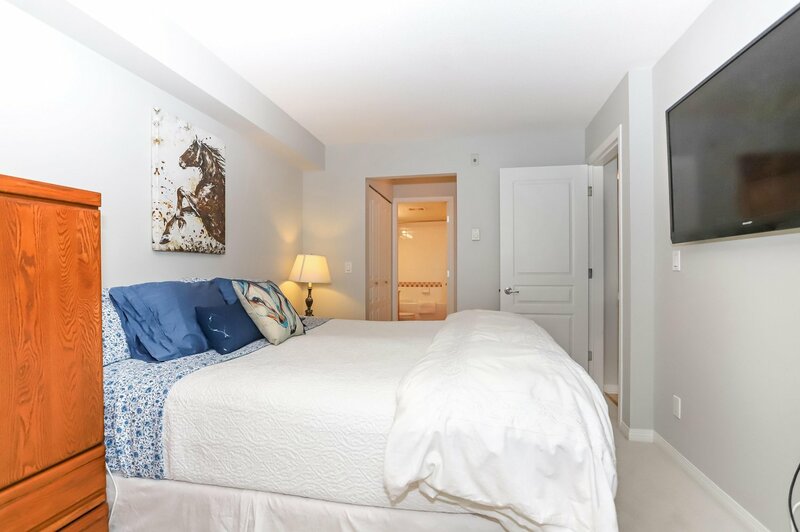 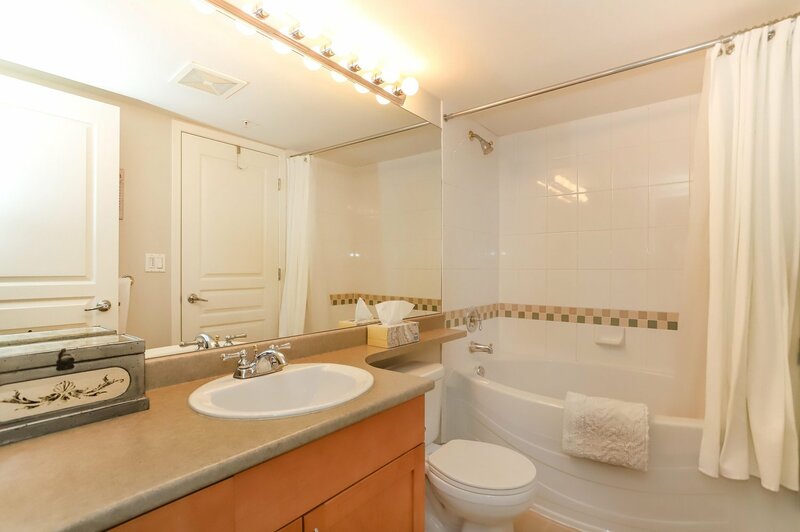 Roomy master bedroom, walk through closet to semi-ensuite with soaker tub. 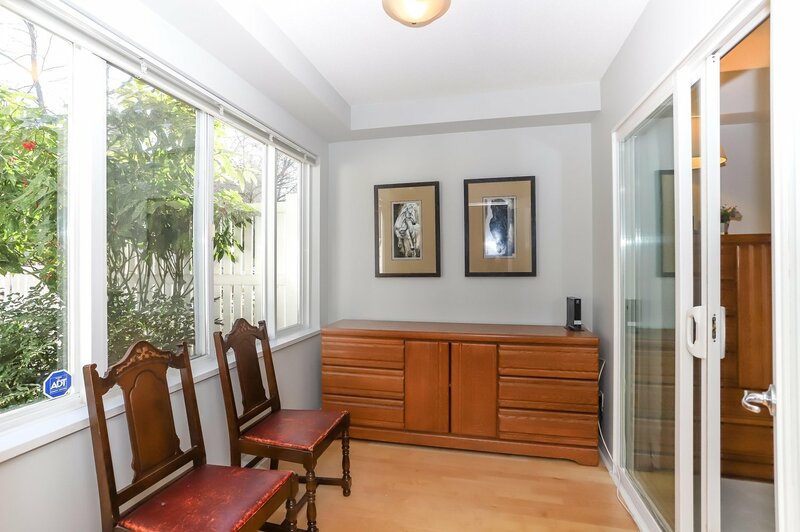 Den is large enough for a nursery or perfect for a home office. 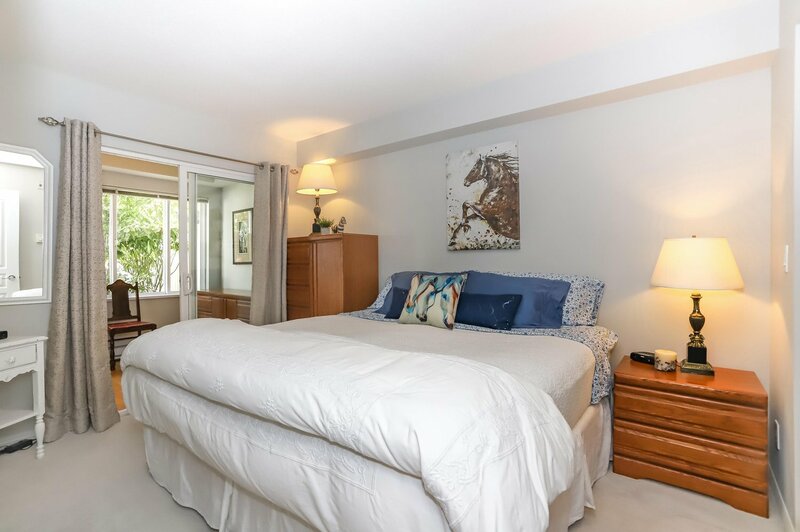 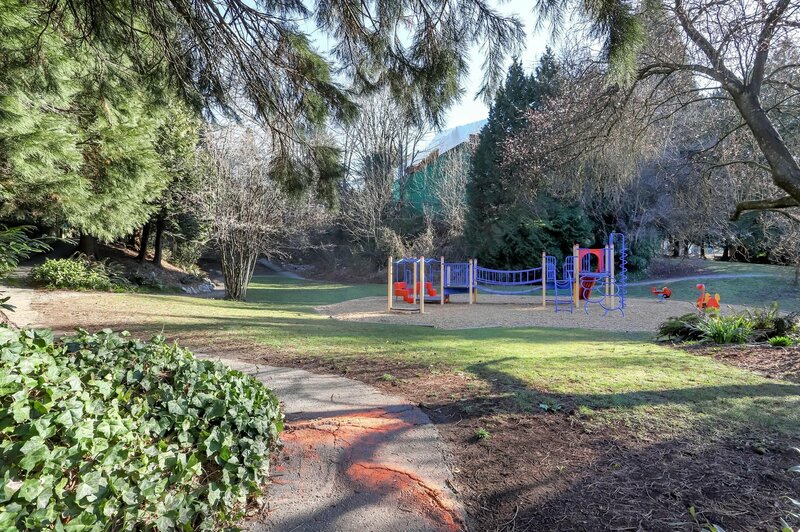 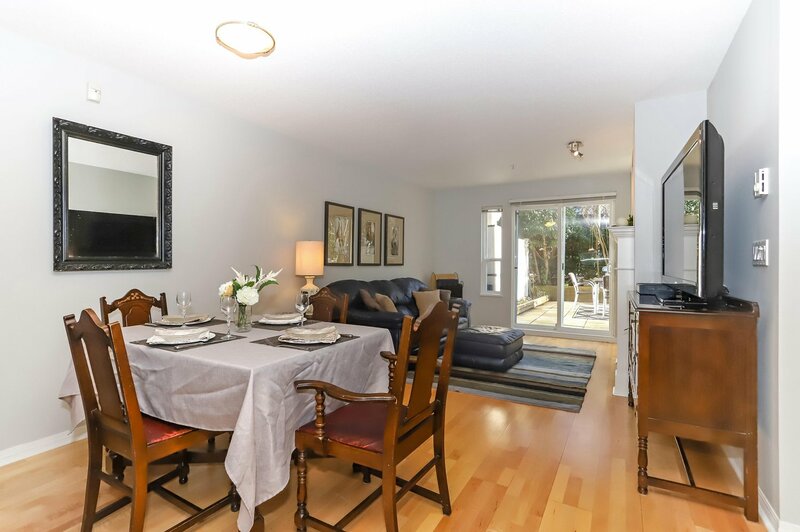 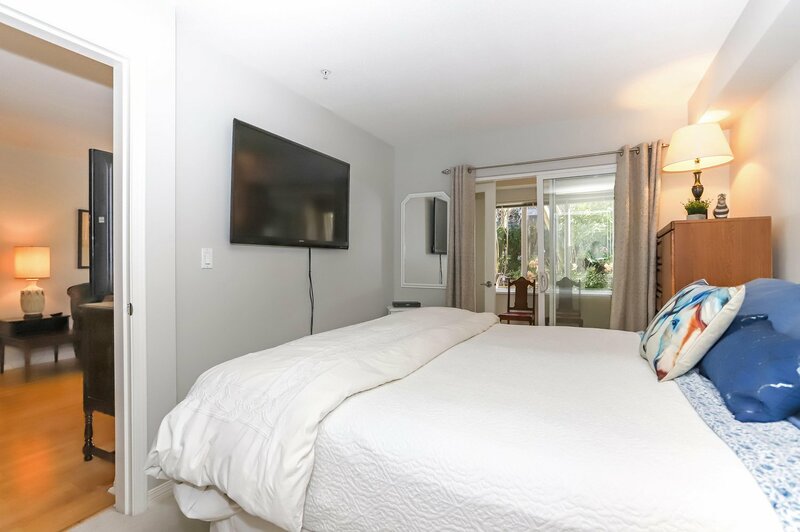 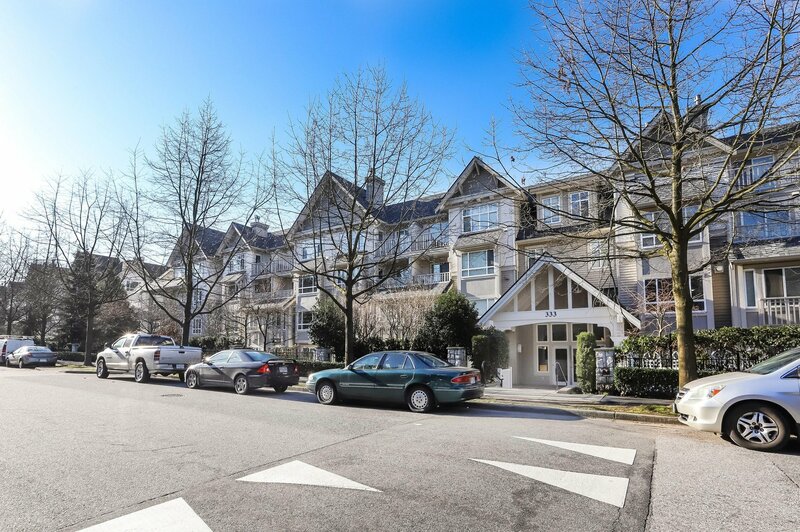 Ideal location across from playground/park and a short walk to seabus, restaurants and all the Lolo has to offer.